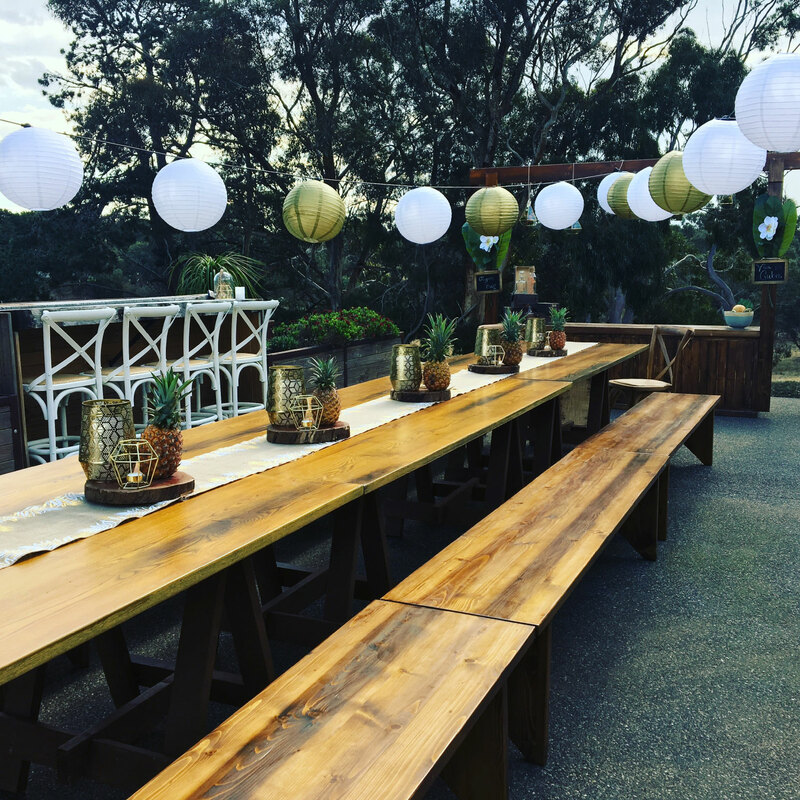 Elderberry is an authentic, creative event hire business located on the beautiful Mornington Peninsula. We are here to make the planning easier for you and to ensure your Wedding is everything you’ve imagined. When we do weddings, we want to create a special, memorable and intimate space for celebration. Elderberry has recently brought in gorgeous floristry which makes a space even more amazing! We have also excitingly added a new addition to our range, a stunning Californian style marquee. This beauty can be set up in 3 different sizes 14m X 14m, 14m X 19m, or 14m X 25m. Perfect for both small and large weddings. Elderberry has a wide range of stock, including wine barrels, cross back chairs, outdoor tables, lighting, glassware, white umbrellas and much more. We believe that furniture is about more than just filling empty spaces… it’s about bringing your vision to life and creating an unforgettable experience for you and your guests.